Jojoba Seeds are the seeds of Jojoba plants scientifically named as Simmondsia chinensis, a kind of perennial shrub growing mainly in Mexico and western region of United States. This plant consists of bluish-green leaves and its extracts are good for skin specially the oil. The shape and color of jojoba seeds resembles that of coffee beans but close examination reveals vast differences. The seeds are larger and their shapes and sizes are not uniform. When the Jojoba Seeds are crushed, it produces beautiful golden-yellow oil that can be processed to remove odor and color. The oil is good for skin and scalp. 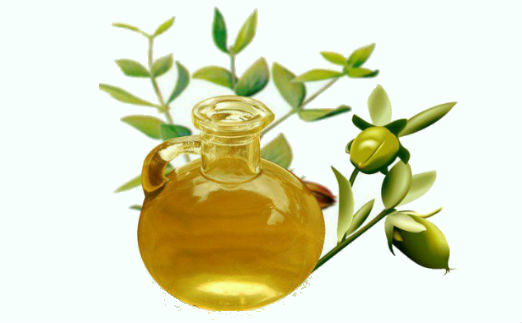 Jojoba oil comprises of rich properties which makes it an important constituent for nutrition, cosmetics and medicine. Jojoba Seeds has antibacterial, anti-fungal, anti-inflammatory, anti-bacterial and antioxidant properties making it usable for various medicinal purposes. Health uses- The seeds of Jojoba plant are used by native Indians, Americans and Mexicans for producing different kinds of medicines used for curing kidney disorders, cancer and skin conditions treatment like eczema, acne, skin bacteria, psoriasis and skin fungi. Nutritional Uses- The seeds of Jojoba plants are used for chewing food or dietary supplement by the Native Americans and in recent times it is being used for preparing coffee like beverage. Cosmetics -Jojoba oil as previously said is good for scalp and skin are used as an ingredient in manufacturing body lotions, shampoos, moisturizers, liquid soaps, sunscreen lotions, perfumes and massage oils. Biodiesel- The oil is also used as biodiesel fuel for trucks, cars and biodegradable lubricant. 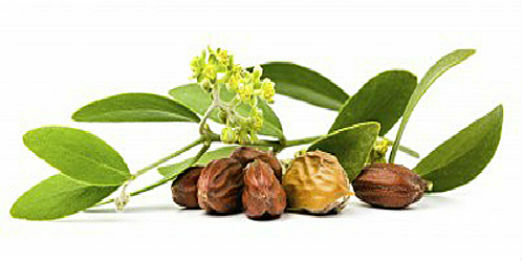 Jojoba butter- Produced from waxy jojoba oil these are odorless and colorless as well as healthy. As the recent research implies that this oil can be used for far better purposes than being used presently, these are applicable for controlling pesticides and white flies. These seeds contain monoglucosides and simmondsins thus making it an appetite suppressant. Moreover when processed it can be used for producing petroleum lubricants. Climate- It grows best in hot weather condition in summer and warm weather condition in winter. Soil texture- It requires low fertile soil with low water resources such as rocky, sandy and decomposed soils. It has the capability of producing good yield without the use of the fertilizers. Irrigation systems-The plant needs intensive watering in spring and winter season encouraging better growth of the plant.